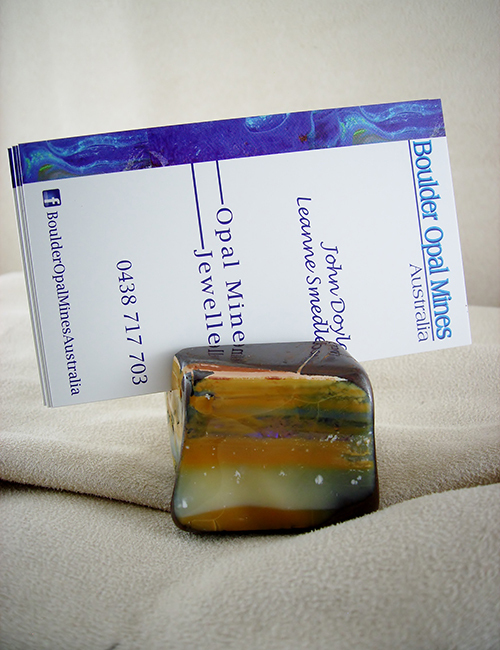 A boulder opal business card holder. 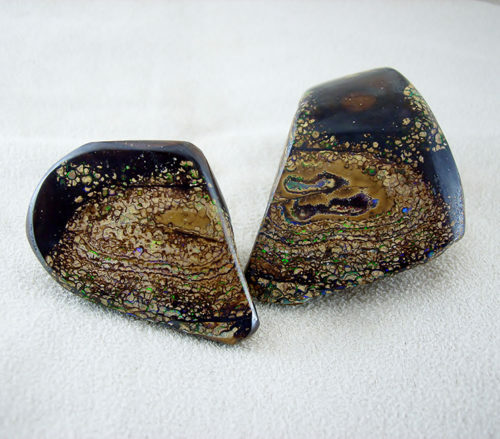 Two sides have a beautiful natural opal picture, reminding me of a dust storm in western Queensland (where we mine our opal). 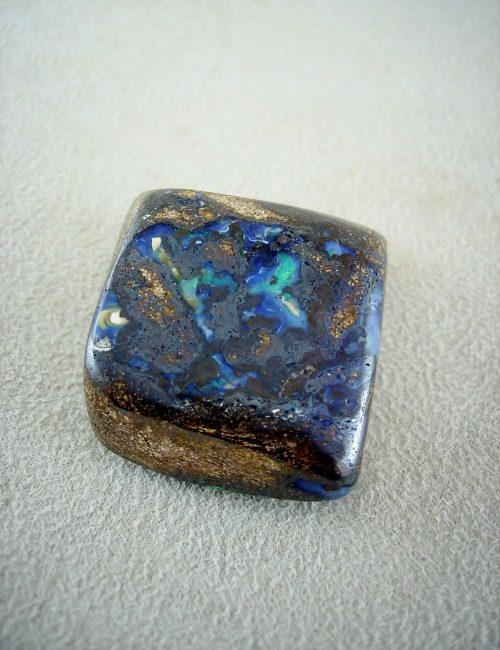 The business card holder stands 33mm tall and measuring 35mm x 35 at the base . A unique addition to any desk.